It's worthless, but it's handsome! : Wait Wait ... Don't Tell Me! In response to the U.S. Postal Service's decision to start putting living people on stamps, Wait Wait presents the most avuncular living person ever to appear on a stamp. 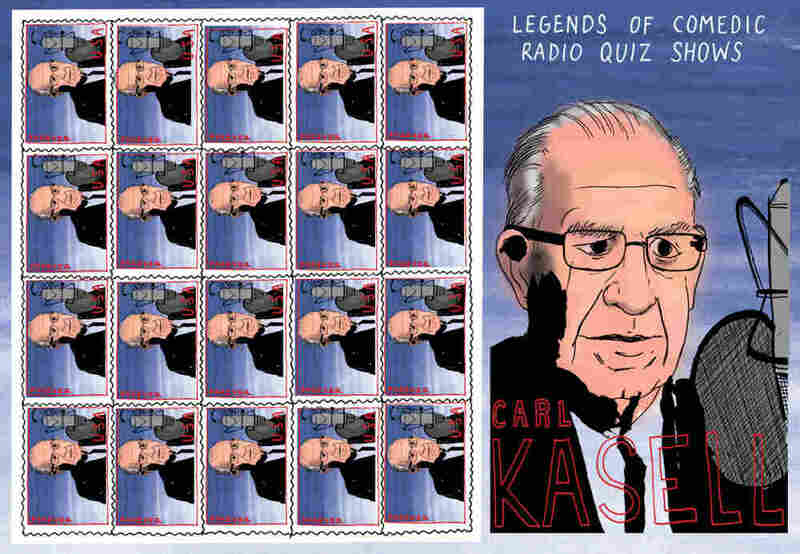 Get Your Carl Stamps Here! As discussed on this weekend's show, the U.S. Postal Service announced it's going to start putting LIVING people on stamps. Well, we know someone who's both stamp-o-genic and an expert in being alive, so we thought we'd go ahead and save the postal folks a little time by asking Chicago illustrator and animator Justin Witte to design the Carl Kasell commemorative stamp. Since nobody's writing letters anymore, just feel free to paste these Carl stamps into to your emails.